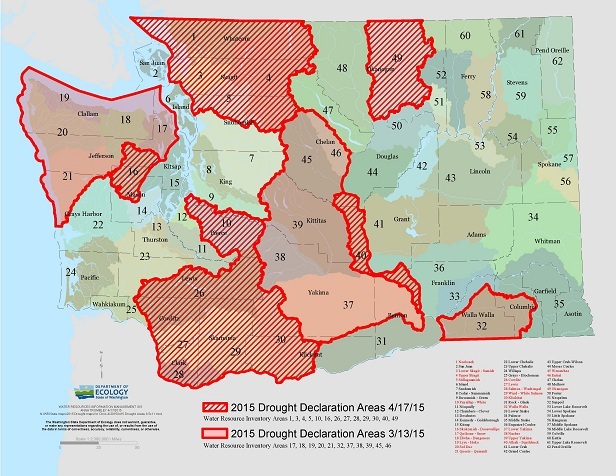 Click here to read our newest installment of the Washington Water Watch newsletter. This month, you’ll find articles introducing our new Staff Attorney, Dan Von Seggern, discussing the drought declaration in the state, the status of the Enloe Dam Hydro Project, a summary of the recently released”Freshwater Withdrawals in WA, 2010″ report, and more. CELP and partners returned to court on Friday, April 3, to challenge a water right that could reduce water flowing in Similkameen Falls, in north central Washington, to a trickle. The Falls, located on the Similkameen River just downstream of Enloe dam, are a popular scenic attraction and have important cultural and ecological values. Okanogan Public Utility District (OPUD) purchased Enloe dam in 1953, but has not generated power since 1958. After two failed attempts to re-electrify the dam in the 1990’s, OPUD obtained a federal energy license in 2013. CELP challenged the water quality certification and won a decision that the proposal to divert 90-99% of the natural flows around the waterfalls lacked scientific foundation. After oral argument on the water right appeal, Judge Gary Tabor of Thurston Superior Court ruled from the bench in favor of the Department of Ecology and OPUD. For CELP, the courtroom saga continues a 10-year effort to restore and protect the Similkameen River, including opposition to two new dam proposals, the Shankers Bend and the Fortis BC projects, that are sidelined for the time being. One very positive development has occurred in the face of continued litigation and local ratepayer opposition to the project’s $50 million price tag. On April 6, OPUD Commissioners passed a resolution indicating willingness to work with CELP and its conservation partners in finding a lead agency for Enloe dam removal. Both the Lower Similkameen River Band in B.C. 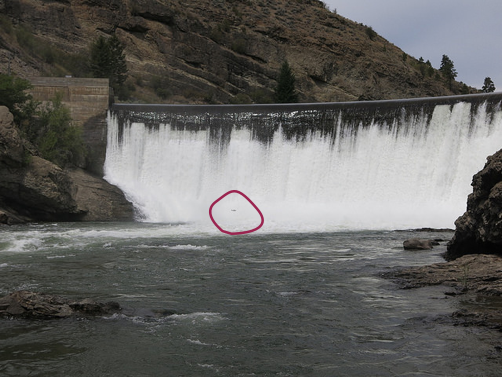 and the Confederated Colville Tribes have endorsed the concept of dam removal. 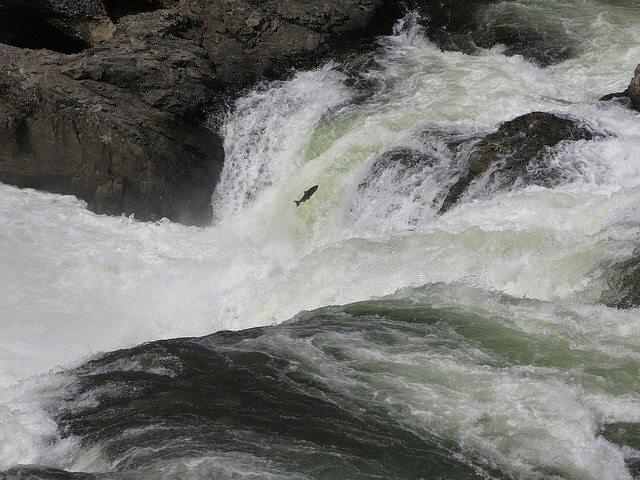 Removing Enloe dam will clear the way for salmon and other species to access 300-plus miles of river and stream habitat, a huge opportunity for both fish and people. Attorney Rachael Paschal Osborn described the second argument in the case: “The new water right for the dam fails to protect instream flows as adopted into the Similkameen River rule. This directly contradicts a 2013 Supreme Court decision regarding the Skagit River, holding that these rules function as ‘water rights for the river’ and may be violated only in the most narrow of circumstances. Economic studies show that re-energizing Enloe Dam doesn’t make financial sense as is, and will be even more expensive if minimum flow releases are increased. OPUD, having spent $12 million to obtain a federal energy license for the project, is placing ratepayer dollars at substantial risk. Depending on the outcome of the aesthetic flow studies to protect Similkameen Falls, OPUD may have far less water to divert for hydropower than originally permitted. The river advocacy groups in the legal challenge are all members of the Hydropower Reform Coalition, and are represented by public interest attorneys Andrea Rodgers of the Western Environmental Law Center and Rachael Paschal Osborn and Dan Von Seggern of CELP. Olympia, WA – River advocacy groups will return to the courtroom on Friday, April 3, to challenge a decision that could reduce Similkameen Falls in Northeastern Washington to a trickle. 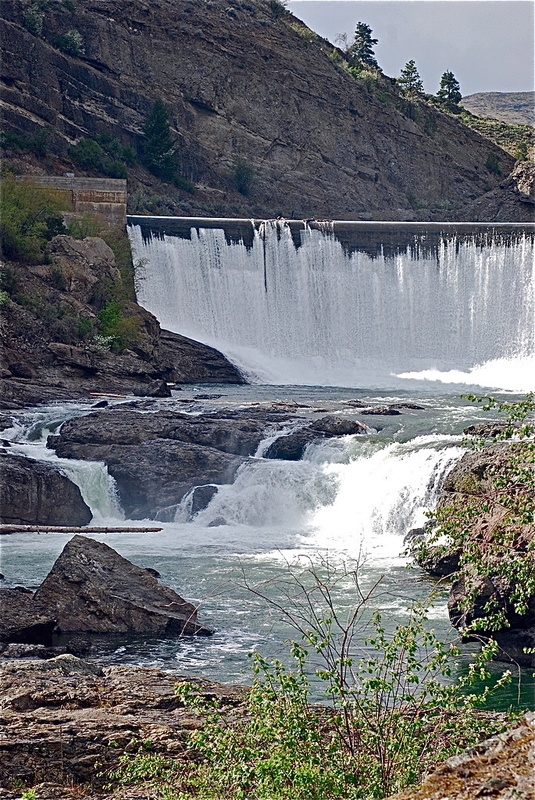 The Falls, located on the Similkameen River just downstream of the abandoned Enloe Dam, are a popular scenic attraction and have important cultural and ecological values. Okanogan Public Utility District is currently seeking to re-energize Enloe Dam, although uncertainties surrounding the amount of water available for the project raise questions about its future costs and viability. The Center for Environmental Law & Policy, American Whitewater and North Cascades Conservation Council are challenging a decision by the Washington Department of Ecology to issue a water right to the Okanogan PUD for the renewed operation of Enloe Dam. A Pollution Control Hearings Board (PCHB) decision in 2013 allows Ecology and PUD to delay required aesthetics studies until after the project is completed, raising concerns that there is not enough water for both hydropower production and aesthetic flows. “Ecology is required to determine whether granting a water right will harm the public interest before issuing it. Here, they are deferring that decision until after the project is built, something they cannot do when allocating public water resources” said Andrea Rodgers, an attorney representing the river groups. Economic studies show that re-energizing Enloe Dam doesn’t make financial sense, and will cost local ratepayers even more money if aesthetic and minimum flows are required. Despite the economic uncertainty, the PUD has stated that it plans to move forward with re-energizing the dam, which has sparked backlash from ratepayers. Oral argument will be held on April 3, 2015, 1:30 p.m. at Thurston County Superior Court, 2000 Lakeridge Drive SW, Building 2, Olympia, Wash. The river groups are all members of the Hydropower Reform Coalition, and are represented by public interest attorneys Andrea Rodgers and Rachael Paschal Osborn.